The natural beauty of the Upper Tampa Bay region is undeniable. Here you’re less than five minutes from the pristine waters of Tampa Bay, a short 20-minute drive from the world famous beaches of Clearwater, and just an hour away from picturesque natural reserves, lush national forests and trophy deep sea fishing on the Gulf of Mexico. The waters of Tampa Bay, Lake Tarpon, the Gulf of Mexico and dozens of inland lakes offer unsurpassed recreational and leisure time activities. Whether you’re into fishing, swimming, sailing, water skiing, snorkeling, scuba diving, power boating or jet skiing, you’ll find exactly what you’re looking for somewhere in the Upper Tampa Bay area. Off the water, sports enthusiasts of every age and experience level take full advantage of the top-quality athletic facilities that are scattered throughout the region. More than a dozen championship golf courses can be found within minutes of Upper Tampa Bay; scores of public and private tennis courts are available at all hours of the day and night; and a variety of swim clubs, fitness centers and workout facilities offer the full gamut of exercise equipment and programs. The City of Oldsmar’s Parks & Recreation Department maintains a system of modern park facilities that are the envy of other cities its size. R.E. Olds Park, located on the shores of Old Tampa Bay, is home to the city’s annual Oktoberfest and Oldsmar Days celebrations – a pair of three-day festivals which feature great live music, fine foods, arts & crafts, a full carnival and midway, parades and other activities. The other 50 weeks of the year, the park – and its acres of green grass, 200-foot fishing pier, one-of-a-kind children’s’ playground and oak-shaded bayside picnic areas – is a welcome respite from the hustle-and-bustle of city life. On the shores of Lake Tarpon in East Lake, John Chestnut Sr. Park, a beautifully maintained Pinellas County facility, offers a large public boat ramp, lakeside picnic and play areas, a fishing pier and hundreds of acres of hiking, biking and canoe trails. In northwestern Hillsborough County – along the Tampa Bay shoreline – lies Upper Tampa Bay Park, a sprawling nature/wildlife preserve and educational center which offers a glimpse of the real “Old Florida” … when pine flats, hardwood hammocks and mangrove forests provided a home for deer, raccoon, bear, eagles and hundreds of waterborne species. The Upper Tampa Bay Trail stretches from just north of Hillsborough Avenue through the Town ‘N Country preserve and all the way to the Citrus Park area – an 8-mile stretch of trail that’s becoming increasingly popular with walkers, skaters and bicycle riders alike. The trail will eventually connect to the Suncoast Parkway Trail and the Town ‘N Country Greenway, making the Upper Tampa Bay area a recreational hiker/cyclist’s paradise! 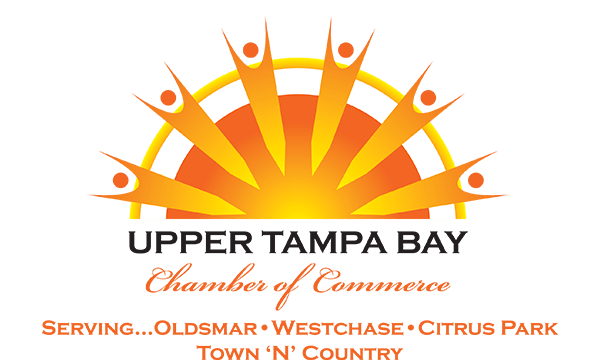 Upper Tampa Bay team sports enthusiasts enjoy some of the finest amateur athletic facilities to be found anywhere in Florida. On the Pinellas County side, the focus is on Oldsmar’s Canal Park, a modern baseball, softball, football and soccer complex that is home to dozens of sports leagues, local and regional tournaments and professional clinics each year. The region’s only BMX bike racing track is also found at Canal Park, attracting thousands of racers – and their fans – during the busy BMX season. Residents of northwestern Hillsborough flock to the three-year-old Ed Radice Park Complex off S. Mobley Road for their team sports activities. The 150-acre county-owned facility sports state-of-the-art baseball and softball fields (five each! ), as well as nine football/soccer fields, a trio of concession stands, full locker room facilities and more. Other established softball, little league and soccer sports complexes are scattered throughout northwestern Hillsborough, at the Citrus Park Little League fields on Gunn Highway, at Countryway and Glencliff parks in the Westchase / Countryway area, and at Shimberg Park, Town ‘N County Park and the Skyway park sports complex in Town ‘N Country. The Upper Tampa Bay area is also blessed with three different YMCA family fitness centers, more than a dozen top-quality weight loss and fitness-oriented workout centers, as well as a number of top-notch personal trainers.